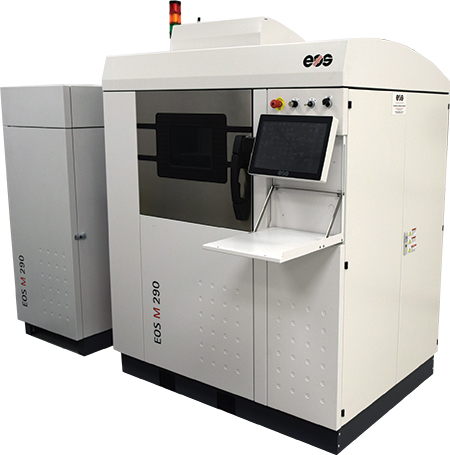 Sintavia, LLC, a provider of 3D metal-printing services to the aerospace, defense and other industries, has acquired an EOS M 290 machine for industrial metal-part production. With a build volume of 250 by 250 by 325 mm, the machine features enhanced quality monitoring and evaluation, and the ability to print with light, stainless and super-alloy metals. Included are the EOS standardized part-property profiles and its ParameterEditor, enabling Sintavia to modify parameters to meet unique customer requirements. A graphical interface and wizard guidance supports the machine operator, making machine use intuitive and task-based. The machine is Sintavia’s sixth 3D printer.